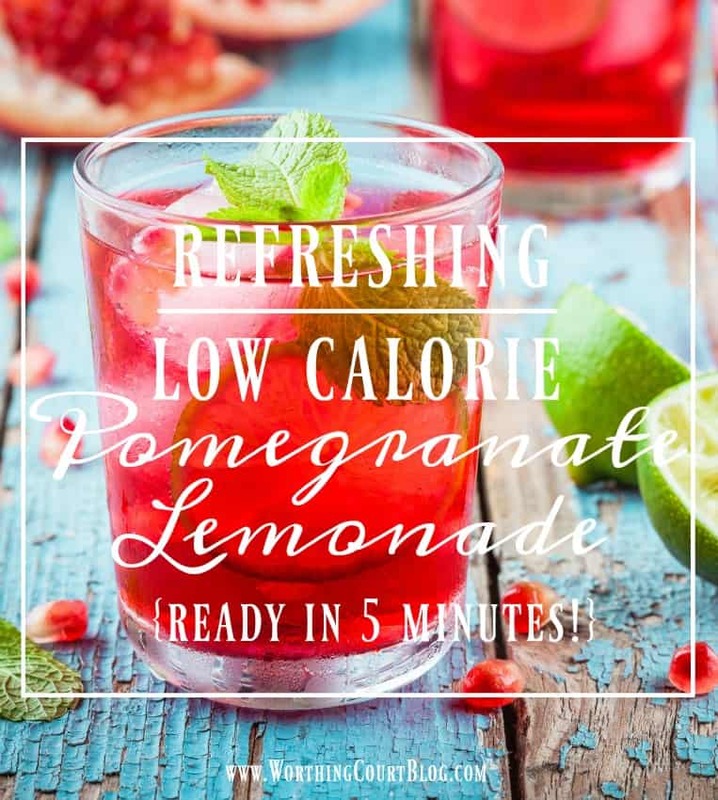 If you’re a fan of lemonade, especially during the warm months of the year, you are going to LOVE this five minute recipe for Low Calorie Pomegranate Lemonade! This is such a super easy recipe, that I almost didn’t think it worthy of a blog post, but I have been enjoying it so much, I wanted to share it with all of you! 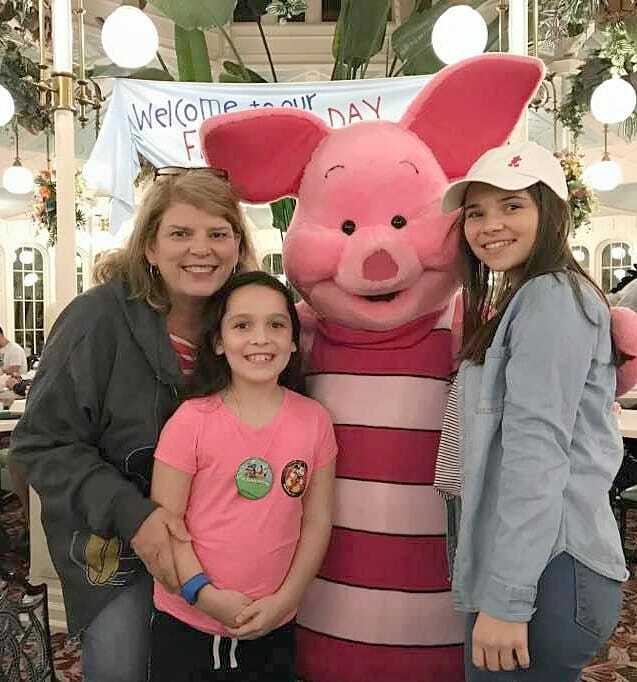 If you follow me on Facebook, you may know that Pookie and I joined one of our daughters on a family honeymoon to Disney World a few weeks ago. You can read all about that very special weekend at Worthing Court right HERE. It was at Disney World that I was first served Pomegranate Lemonade. Oh me – so yummy! I immediately came home to look for some at my grocery store, but it isn’t to be found anywhere. In fact, a Google search for Pomegranate Lemonade didn’t yield any results for who might make it. I’m guessing that Disney has cornered the market for this yummy treat. So….I decided to see if I could replicate what I had enjoyed so much during the week we spent at Disney. Prepare lemonade mix according to package directions. If you’re looking for me, you’ll find me on the back porch enjoying a tall glass of this delicious and refreshing drink every afternoon! Thanks Suzy, this lemonade looks delicious as well as healthy. You know that Gina and I loved it when we had it at your home! Delish!!! Yummy, going to give this a try. Thanks for sharing!! It sounds like a refreshing drink. Thanks for the recipe. I can’t wait to try this! Sounds so refreshing. Thanks for the recipe. Sounds delicious, and easy too! I’ve never had pomegranate anything! Looks delicious – thanks for the recipe! This sounds delicious & refreshing! I can’t wait to try it! I would replace the 1 Package Sugar Free Powdered Instant Lemonade Mix with plain stevia and organic lemon juice. Even plain lemonade is delicious this way. We try to not use any chemicals or artificial sweeteners in our home, just real food. So glad to get this recipe. I’m ready for lemonade season! Hmmm…may have to try this recipe! That is so fun that you got to do a family honeymoon. Did you get to watch the kids so the newlyweds could have alone time? So fun! Hi Julie. I offered before we ever got there, but it never seemed to work out for me to watch the kids for them. We barely missed being there at the same time – we went the first week of March. Smart thinking to take an extra piece of luggage! That lemonade sounds like it would be so refreshing on a hot day. This does look so refreshing! I can’t wait to serve this at our summer get-togethers.. This look so delicious and incredibly refreshing! Thank you for the recipe. I will definitely give it a try. What a great drink. I love pomegranate so I must give this a try. Yumm! This looks so refreshing! With summer knocking at my door, I think i can just gulp down a large glass of this CD.. the pics look wonderful..Surely a refreshing drink..Thanks for sharing it at the Fiesta Friday party ?? Love this drink. You are featured at Thursday Favorite Things. Come pick up your feature button. Pomegranate Lemonade yum! Thanks for sharing at the Inspiration Spotlight party. Pinned & shared. I am always looking for a low cal drink. I am anxious to make it and share it with friends. Looks great! Had fresh squeezed pomegranate juice for first time in Jerusalem a couple of years ago. LOVED IT. This sounds so refreshing…can’t wait to try it. I love pomegranate juice- will definitely try this recipe . TY so much! You had me drooling over this drink! I’m heading to the grocery store so I can make some for the evening on the porch! So easy, and I love pomegranate, so definitely will try this! Thanks! Your lemonade recipe looks fantastic for the summer! 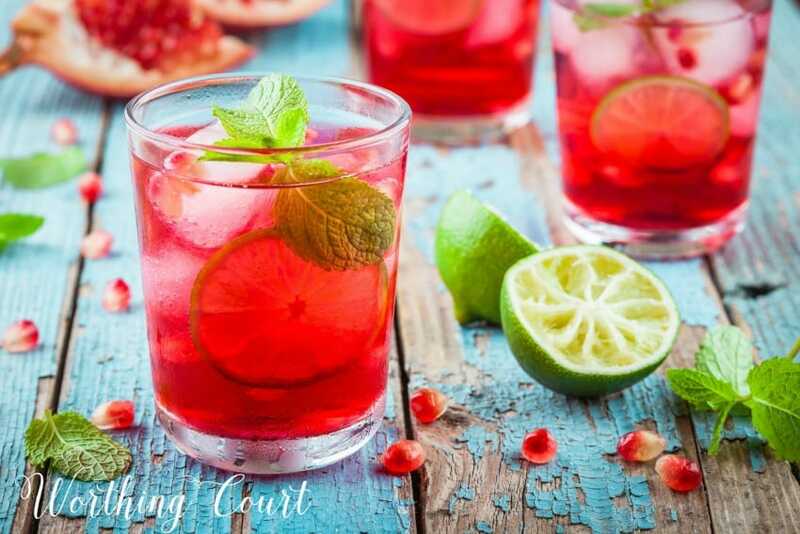 I always have a luncheon for my girlfriends in late May, and this looks like the perfect feature drink for our lunch! Sounds refreshing! Will try it today!